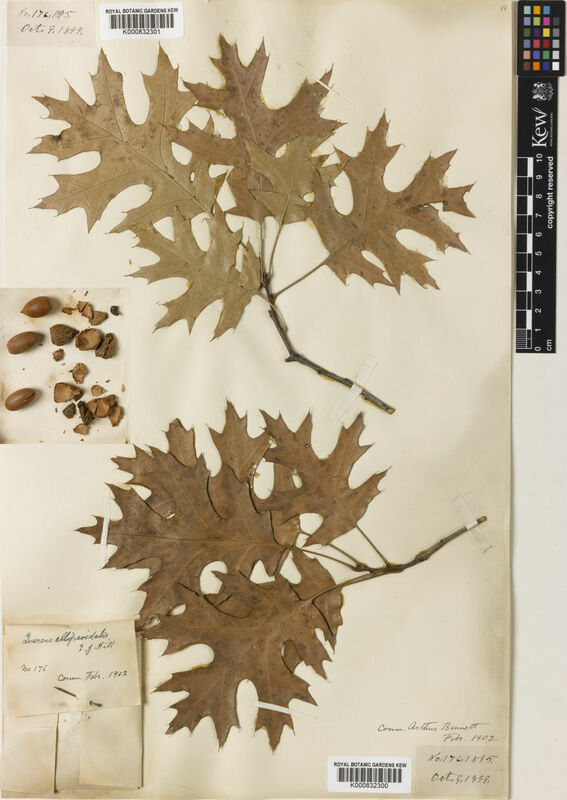 This species is accepted, and its native range is SW. Ontario to N. Central & E. Central U.S.A.
Quercus ellipsoidalis var. coccinioides Farw. Quercus ellipsoidalis f. heterophylla Trel. Quercus ellipsoidalis f. incurva Trel.